For those interested in science, anatomy, or simply want to understand more about how the parts of the eye work together, this is a great book to use. A vivid eye anatomy book for children. 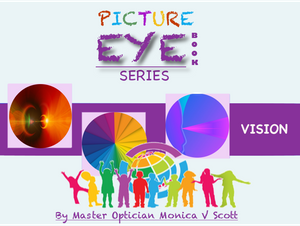 This is an awesome teaching tool that parents or teachers can use to educate children about eye anatomy using beautiful color illustrations. It is similar to National Geographic style with its bright bold pictures but from the perspective and educational base of a certified optician. 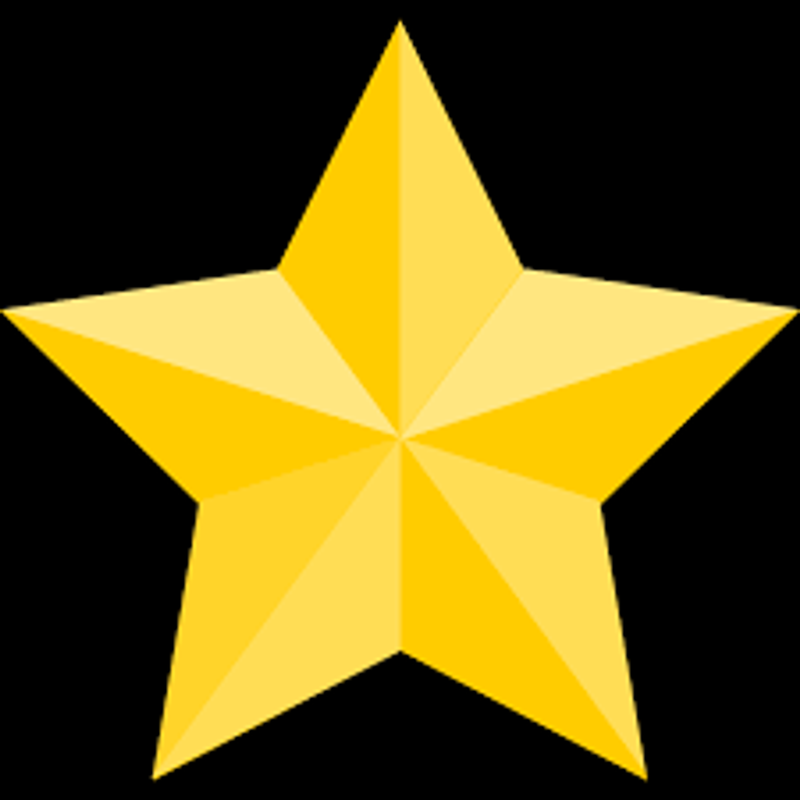 This book is part of a series of easy reader eye education books. 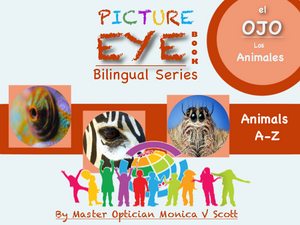 Learn about the growth and development of the eyeball through a beautiful and fun picture book. This colorful easy to read teaching tool can be used by parents, homeschool families or pre-school and kindergarten teachers. This is a wonderful book for those interested in learning about life stages and changes concerning the visual system. This book starts with pregnancy and goes through the development of the embryo and fetus and explains in short sentences how the eye changes and grows through these different stages of life. 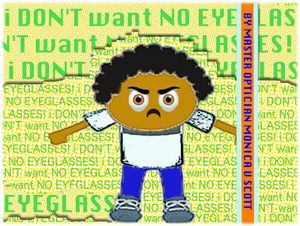 Learn about the miracle of eyesight through this easy educational picture book. 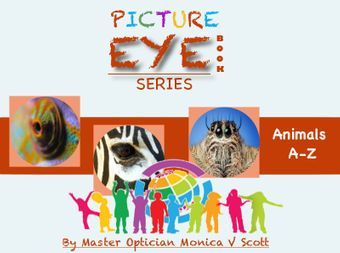 Parents and teachers who are looking for easy to read teaching tools will appreciate the vibrant photos and eye illustrations. 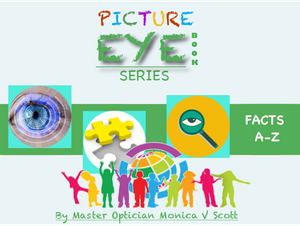 Kids who are interested in science and nature will enjoy learning about the vision basics of how we see. 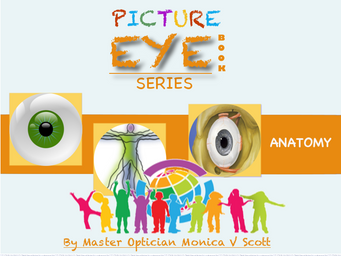 Youths and adults who love learning and want to know more about anatomy, biology, and the human body can use this book as an introduction to learning more about the eye. This book can also be used by parents to nurture a desire to learn more about the human body. A funny story about getting eyeglasses. Great for children who may need glasses but do not want them. This is a great tool to teach some of the symptoms of needing an eye exam. In the end the benefit of going to the eye doctor is made clear. 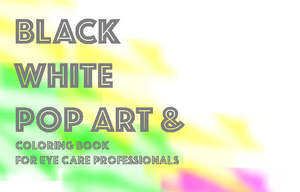 Keep calm and relax with this black and white pop art coloring book for eye care professionals! 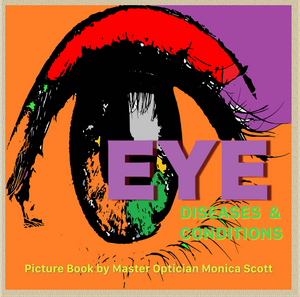 There are 20+ pages of original eye-inspired black and white artwork that can be colored and framed.This book makes a great gift for opticians, lab technicians, receptionist, scribes and doctors who work in the eyeglass field. If you wear glasses, or you may be into nerdy fashion this is a great coloring book for you. It is a great coffee table book and conversation piece. Colorful real-life pictures show the effects of common vision problems. See through vivid photos how eye diseases like glaucoma, diabetes and cataracts alter eyesight. 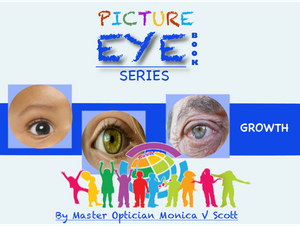 Difficult medical terms are given simplified descriptions making this a great book to teach young and old about these eye problems. A través de este libro de imágenes de colores conocer detalles únicos sobre extraño, loco, miedo y los ojos de los animales de la A a la Z. Las arañas, lagartijas, mariposas, y de víboras todos tienen algo especial en sus ojos que se puede aprender. Grandes animales africanos salvajes como rinocerontes, así como los pequeños insectos como las mariquitas tienen ojos diseñados para su entorno. Aprender un espectacular detalle acerca de la visión de estos maravillosos animales en el reino animal a través de coloridas acuarelas. Esta serie utiliza un lenguaje sencillo con gráficos llamativos para educar a los niños y adultos.